I would love to join you for a fun, sweet and easy “let’s get you married” ceremony at a location of your choice. Choosing to get hitched quietly and with little fanfare is about what’s right and true for the two of you. 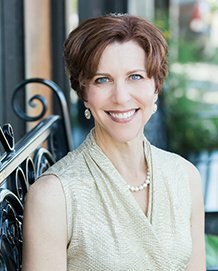 As a Wedding Officiant & Celebrant in the South Sound, I marry couples of all faiths and traditions in tiny and intimate ceremonies, most often with a guest list of 2-20. My style is inclusive, unstuffy, creative, personalized and fun. 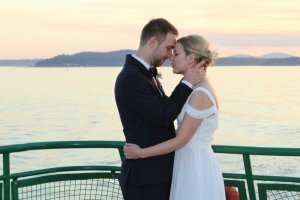 Whether you desire to be married overlooking the water at Point Defiance Park in Tacoma, at a hidden chapel, at a friend’s home, at Alderbrook Resort on Hood Canal, at the base of a mountain or even at the corner of 4th and Jefferson in downtown Olympia, let’s share in a sweet and easy ceremony! Secure a valid Marriage License in Washington State. Once you have secured your Marriage License (you may apply in any County in the State of Washington), your marriage license is valid for 60 days and there is a 3-day waiting period. Your Date/Time and Make Plans: Once you have a wedding date, confirm a start time for your ceremony and secure your “location” or venue. Decide on a Location/Venue.There are many sweet places to be married in the Tacoma/Olympia area. Favorites of mine: Dancing Cedars in Olympia, Point Defiance Park, Lakewold Gardens, Thornewood Castle, The Vault in Tenino and many pretty parks and locations. If being married at the foot of Mt. Rainier interests you, check out Alexander’s Country Inn. An Officiant and Witnesses**: In addition to an Officiant, you will need 2 witnesses over 18 years of age. Some hotels and bed and breakfast establishments in the South Sound area will supply witnesses for you. If you don’t have 2 witnesses, ask for options for this. A wedding of any size is a big life moment and a huge life transition. Mark the moment with love, appreciation and respect. An small and intimate ceremony is all about the two of you – your love story and your commitment to your partnership and your future. ** if you do not have witnesses, 2 witnesses may be arranged. My fee for an elopement in the South Sound varies and depends on what you want and desire for your elopement ceremony. I’m a bit untraditional in that I will collect a little personal information and lightly personalize your wedding ceremony. On average, your fee will range from $250 – $450. This includes travel to/from the location of your wedding ceremony within the Tacoma to Olympia area. Do You Travel Outside of the South Sound Area For An Elopement? Yes. Especially if I really like you! I request a travel fee outside of the South Sound area, just ask! (Counties: King, Snohomish, Kitsap, Mason and Jefferson). Once I know exactly what you want/desire for your ceremony, I can offer a full quote for services. Special Note: If you are flying or traveling into the Puget Sound area and don’t have a place selected yet for your wedding ceremony, I can work with you on a location and/or be helpful with any other pre-wedding details/arrangements including photographers, flowers, cake, etc. I welcome your call or text today at 425.922.1325. If you prefer, please send an email , get wild and click the green contact button below, or complete this easy form for a speedy reply. Yes! Especially if I really like you! © 2019 Olympia Tacoma Wedding Officiant - Annemarie Juhlian. All rights reserved.